Learn how to integrate your Xero account with your ClockShark account! Connecting ClockShark with Xero allows you to easily transfer employees' completed timesheets to Xero for payroll. Your ClockShark employees will synchronize with your Xero employees so that labor hours export to the correct employee's timesheet in Xero. Go to the Admin > Integrations screen and click the Xero tile. 2. 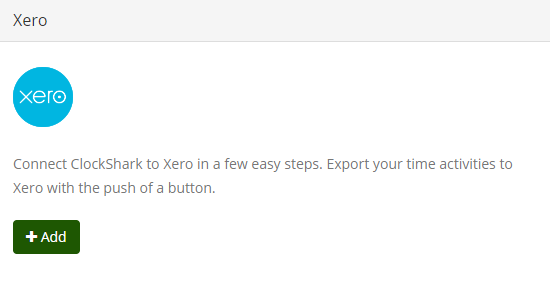 After clicking Add, you will be momentarily redirected to Xero where you will login to your Xero account. 3. Click to permit ClockShark to access your Xero company file. 4. 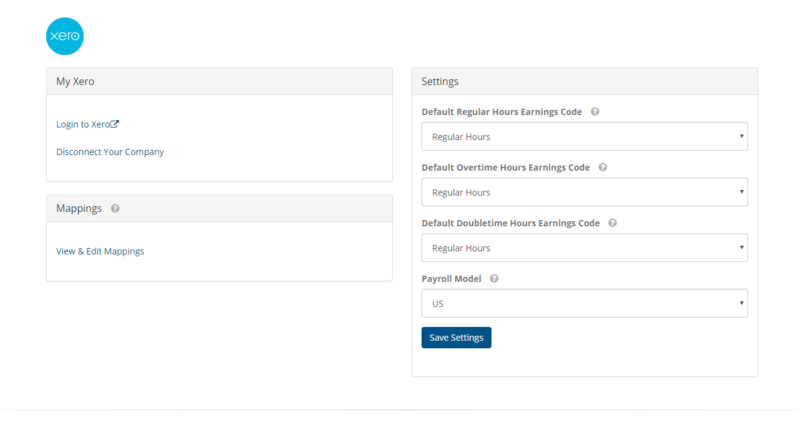 Once automatically returned to ClockShark, you will click the drop-down boxes to select the correct Earnings Type for regular, overtime, and double-time hours. 5. Under the "Mappings" heading, click "View & Edit Mappings" to adjust the mappings for your employees. 6. On the mappings screen, first click the green "Sync Xero Employees" button and then "Sync Employees". 7. You should now see your Xero employee on the left, and your corresponding ClockShark employee on the right: this indicates that they have been mapped successfully! Note: If an employee didn't auto-map, you can manually map the employee by clicking the pen icon on the right of the screen, and choosing the employee from the drop-down list. 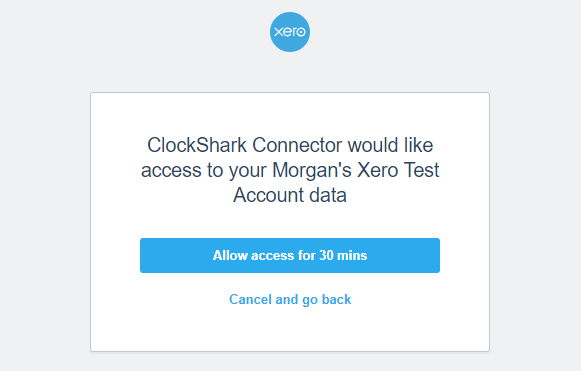 To manage or disconnect your Xero integration, you can visit your Xero dashboard within ClockShark at anytime. You also can edit your Xero employee mappings there too.